Now there’s a name that doesn’t mess around! Somewhere on my hard drive is a photo of the inside of Awesome Games. But I know not where. Which is annoying as it shows behind the counter the cornucopia of modern and retro video gaming available at the top of the high street. The lovely fellow who owns it, Akay (AK? ), has all sorts of classic games and modern ones on show. 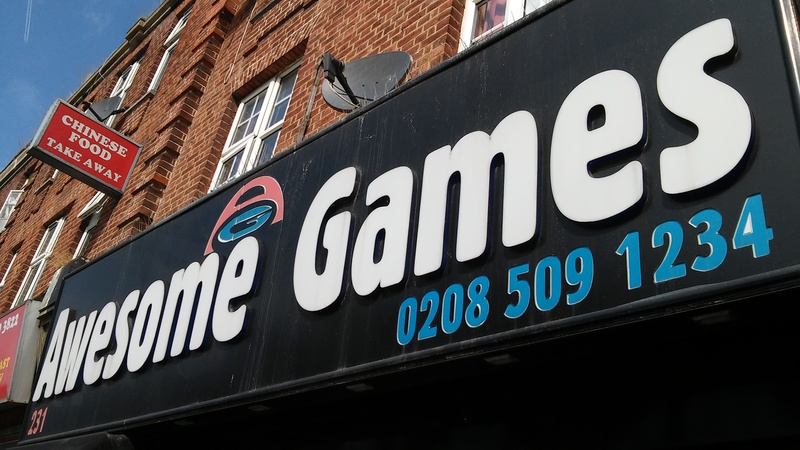 He sells new and second hand games and I’ve long had the impression that he has stayed in business for over 20 years by helping his customers source what they want. Unlike that chain store that dominates the market Akay puts customers and service first. If you like games give him a try. Go in, say hello, and meet one of the indie shop successes who was big in the stow long before the hipsters came! So like many local residents we got free tickets to Grillstock. However as my partner is still dealing with her serious health issues and I’d been a bit poorly so we decided to get in early on the Saturday. The early morning rain had passed and we hoped the overcast clouds were as bad as it would get. The day opening with one determined singer on stage. 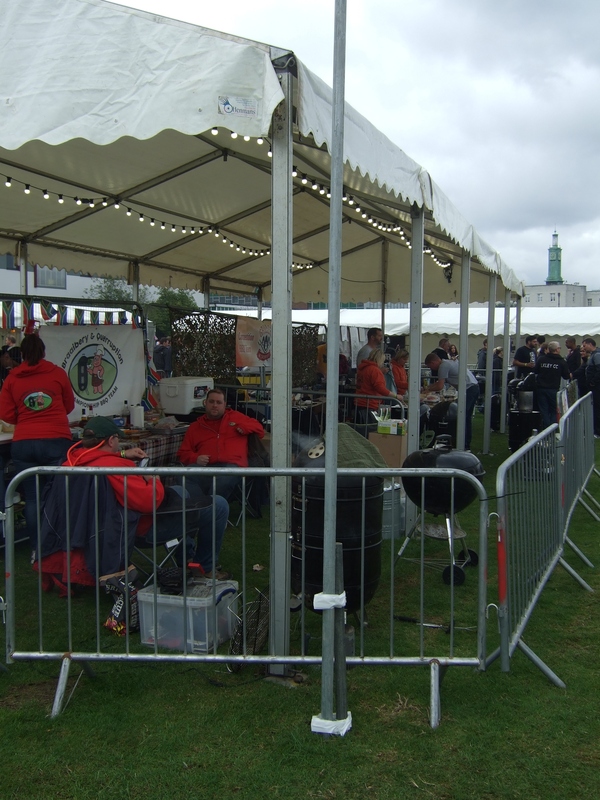 We got straight in at about 11:45 and immediately had a walk around the food stalls and look at the bays inhabited by the competitive BBQ teams. This was fascinating as I always love to see a passionate sub-culture in action. It was great to see how the teams have their own logos and identity, and sometimes custom hardware! And if you were inspired you could buy everything you needed to cook American BBQ. As we passed a bar tent we heard some bluegrass so dropped in to end up listening to the set of Big Joe Bone. 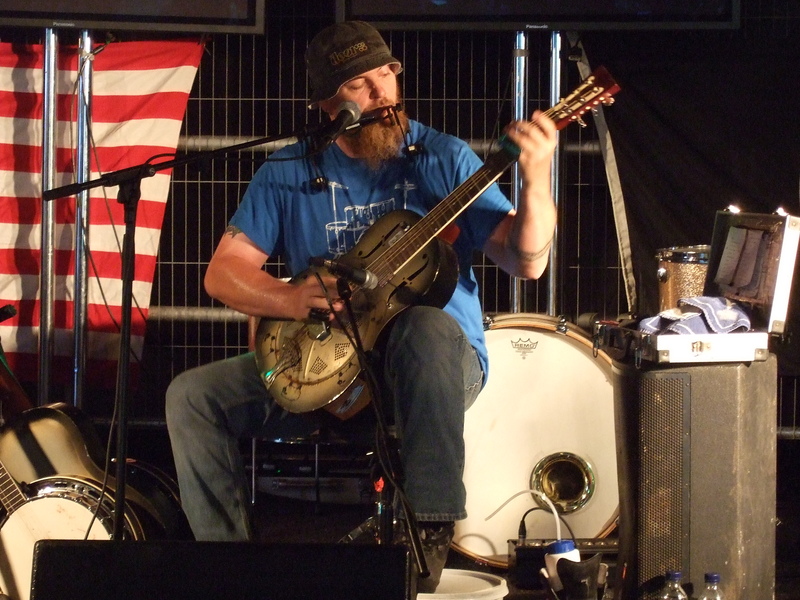 He was a one-man act in a similar vein to Seasick Steve and had a great time interacting and joking with the audience. I bought his CD he was selling out of a suitcase; always a real pleasure to support independent musicians. At that point we decided we really must eat. We started with a portion each of triple fried chips from the Hippie Chippie. I suspect from the name they usually do Glasto and other basket weaver attracting venues. However their chips were brilliant; I had mine with garlic and rosemary and they may well have been the best chips I’ve ever had. Now, while BBQ was the theme I was in the mood for a burger. Apparently The Beefy Boys were winners at last year’s Grillstock. I went for the ‘Blue Boy’ with blue cheese, gerkin, cheese, onion, and probably other stuff on a brioche bun. 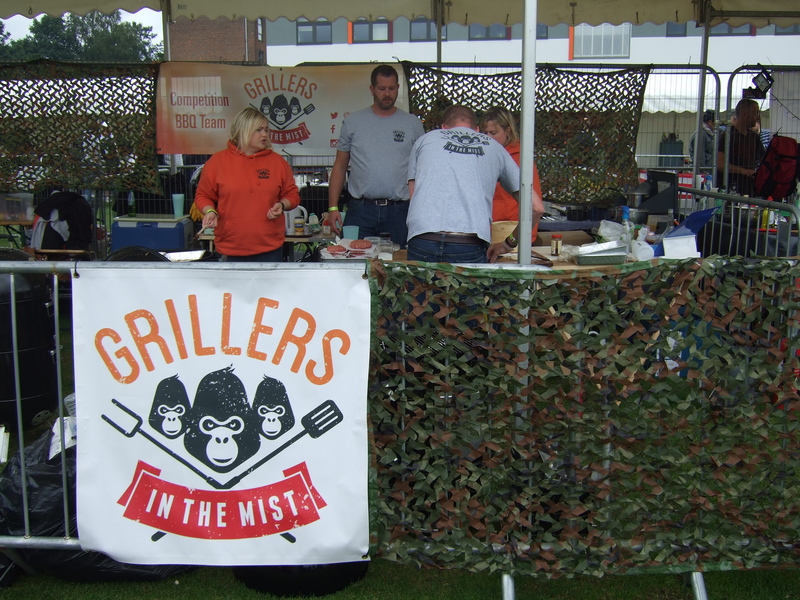 It was heavenly, and just the sort of thing I wanted to eat at a BBQ festival. Sadly as I was still a bit poorly I wasn’t drinking. Most of the bars seemed focused on Brooklyn lager. There was one from a ‘cloudy cider’ brewer and a bar for Jack Daniels. Not a huge selection, but I like Brooklyn Lager and would have enjoyed trying the IPA they had on sale. 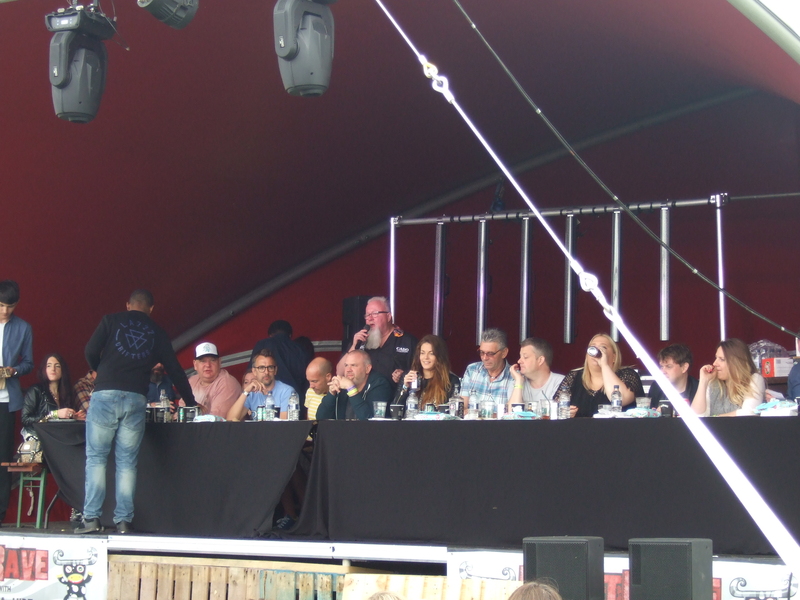 Then we stopped to watch some of the judges in the BBQ contest eat and grade the offerings. This seemed to be facilitated by bottles of Jack Daniels being passed around and cans of beer. Some of the food looked really nice and was well presented, including one plate of ribs that came with whisky shots! BBQ Judging; best job in the world? By that point it was getting very busy and we were feeling a bit tired with ailments so headed off. The queues to get it had gotten quite big (although nowhere near the size of the Garden Party’s). 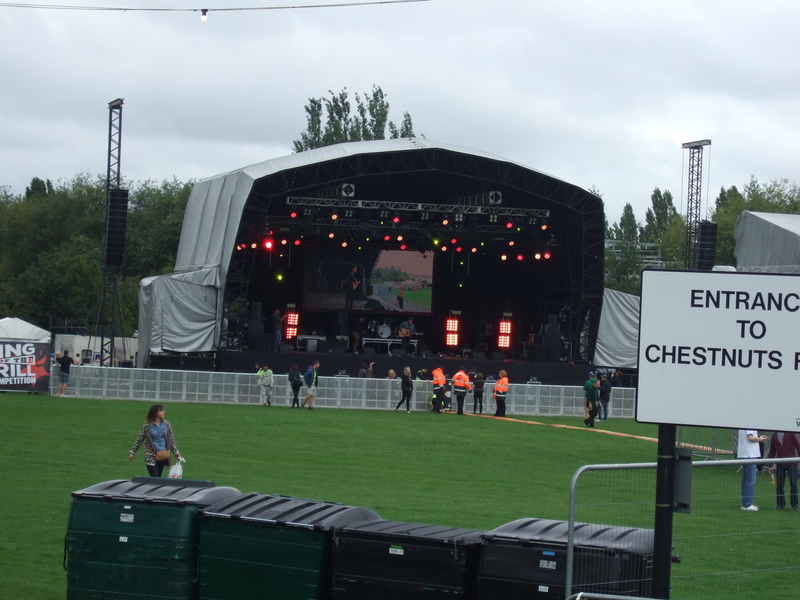 I only wish I could have seen Hayseed Dixie on the Sunday. 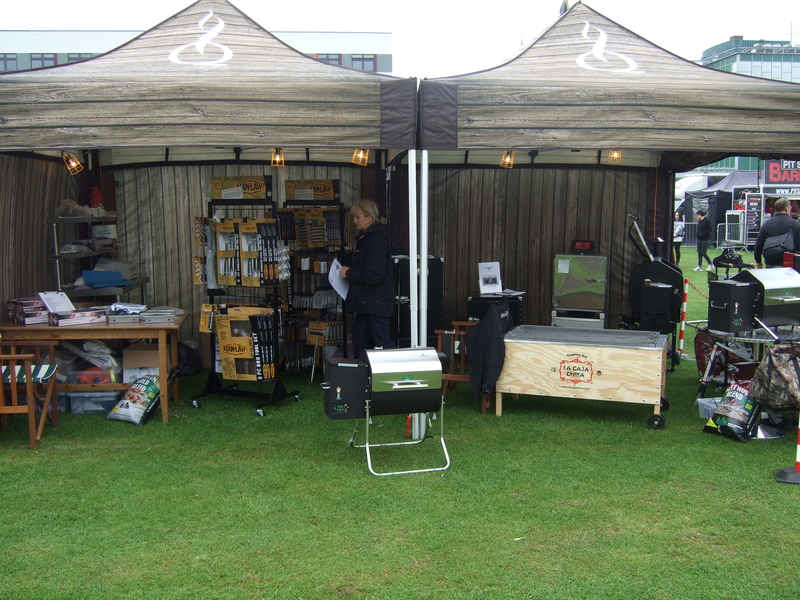 But overall we had a great time and hope it will be an annual event. Next year I’d love to get 4 tickets and take some friends to show then what great events we have. 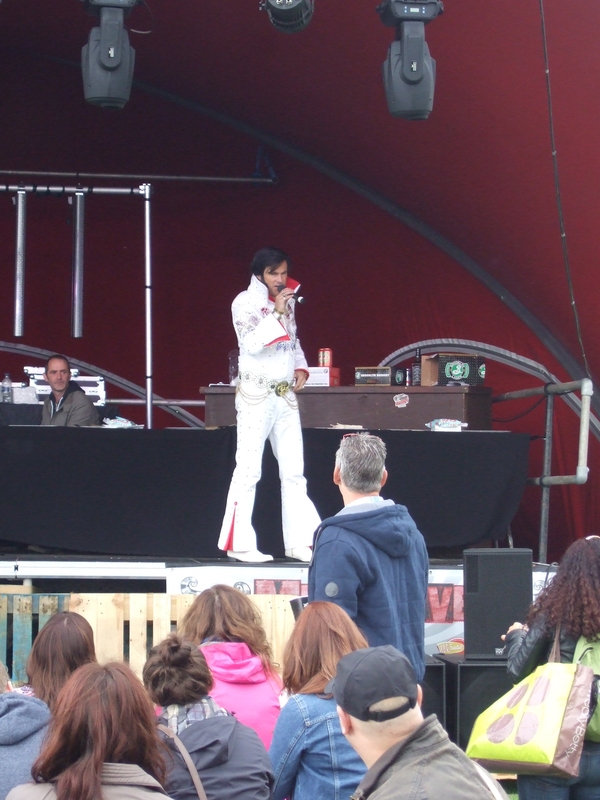 Food so good even Elvis came back!